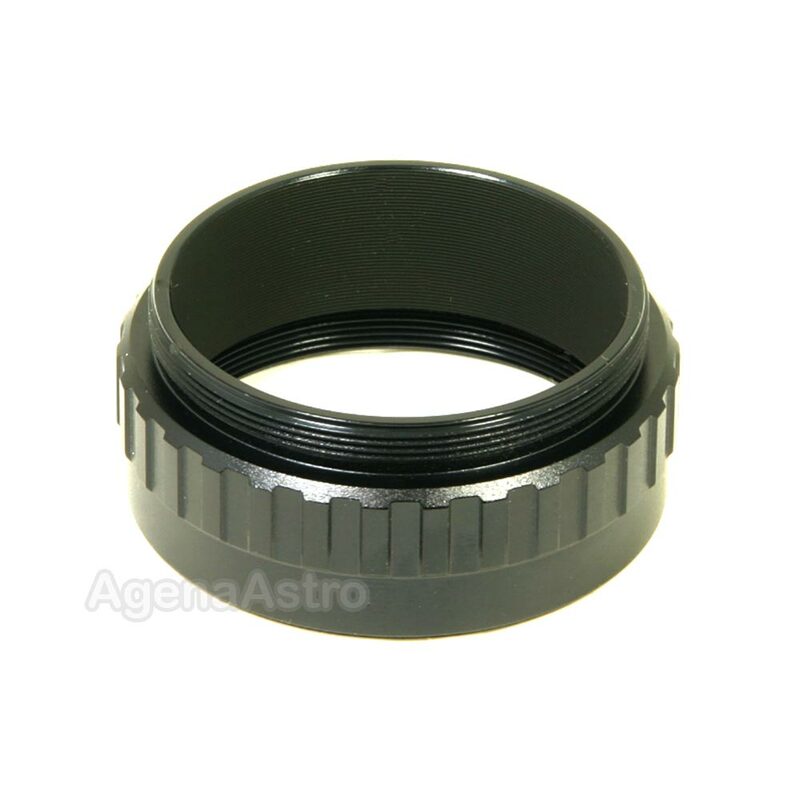 T-2 Extension Tubes enable you to securely set or vary the spacing between T-2 components. This # T2-25A # 1508154 T-thread extension or spacer tube provides 15mm of extension. It features an internal T-2 thread (M42x0.75) at one end and an external T-2 thread at the opposite end. Full internal threading and blackening kills any stray light reflections. Maximum diameter = 47.5mm.